WEDNESDAY ONLY: Get FREE or half-off frozen treats to kick off the spring season! Get sweet treats for free on the first day of Spring! March 20 is the first day of spring, and restaurants want to celebrate with YOU! Now that the temperatures are a little warmer, indulge in these sweet and frozen treats for less. 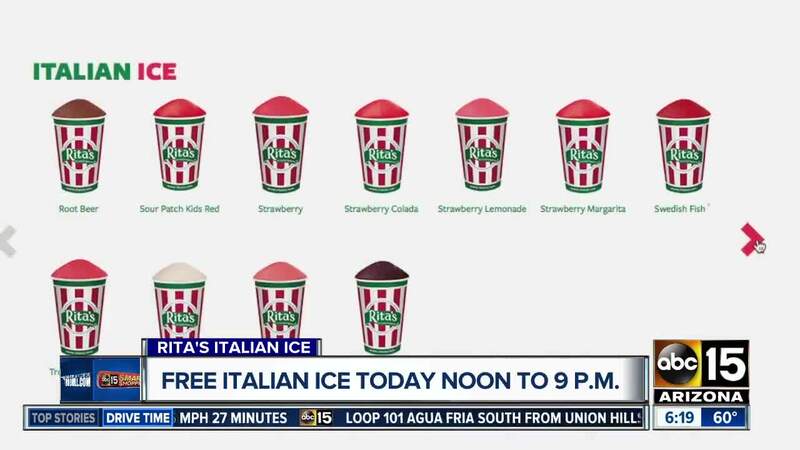 Rita's Italian Ice is offering a FREE Italian Ice from noon to 9 p.m. They have around 65 flavors, but only 12 at a time in the store. Don't worry though. They rotate, so you'll get to try them all eventually! The free cup you receive is seven ounces. They typically offer two sizes, a six-ounce for $2.35 or a 10-ounce for $3.15. So, enjoy the custom size and FREEBIE! In the past, they've given away almost one million cups of Italian Ice in just a nine-hour period. So, go get the scoop, and click here to find a location near you. Let's shift to another dessert, or breakfast, or other meal. Hey, there's no judgment here! Dairy Queen is having it's Free Cone Day! You can enjoy a FREE small vanilla soft-serve cone. It would normally cost $1.99, so FREE ninety-nine is even better. It's a limit of one per customer, while supplies last at participating non-mall DQ® and DQ Grill & Chill® locations throughout the U.S. Enter your zipcode to find a location near you . They have a different discount running March 21 through March 31, offering a small regular or dipped soft serve cone for just 50 cents. That deal is only available for redemption through the DQ® mobile app at participating DQ® and DQ Grill & Chill® locations. The offer includes the new DQ orange, creamy and crunchy dreamsicle dip, or try the DQ classic chocolate dip.